Your brand is the most crucial part of your company as it incorporates every element that makes you unique and recognisable. This bespoke identity is not only important in appealing to your target market, but also in standing out above your competition. From company name and website, to your logo and advertising efforts, branding creates an experience for your customer and essentially influences whether people will love or overlook your company. Ultimately your business will be judged on how effectively it can communicate, deliver a solution that satisfies, and meet the expectations of your prospects, while being preferred to others in your industry. Your brand exists in comparison to other companies that can solve similar problems; so it’s important you commit resources to crafting a unique company profile. 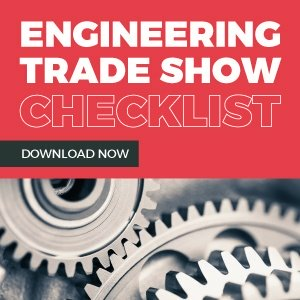 In order to increase brand awareness of your engineering company, here are some helpful tips to get you started. Once you have identified the core differentiators between yourself and your competitors, it’s time to create your story. Give your current customers and prospects an insight into your business journey. Where and when did it all begin? How did you end up in the manufacturing industry? What niche market does your product or service serve and are your customers impressed with what you offer? Engineering is a technical industry and it can sometimes be difficult for marketers to make it ‘interesting’ for their target audience. By giving your company a human feel and telling your story, prospects will see a softer side to your business, enabling you to establish trust with potential buyers. Social media should be used as more than merely an outlet to share company content. Social channels offer the perfect networking opportunity to communicate and interact with both current customers and prospects. But are you maximising your social presence? Maybe your engineering brand isn’t as well established as your competitors and you’d like to become better known among your target market. Start by setting up profiles on each of the main social networks: Facebook, Twitter and LinkedIn. Consistency is vital, so ensure your company info and logo are the same on all channels. Social media advertising is a great way to ensure your brand gets in front of your target audience. Different sites offer different options, such as boosted posts on Facebook and LinkedIn. Specific targeting features allow marketers to reach the most suitable prospects that are most likely to visit your website and want to become more familiar with your company. Before you dive in and begin posting content, it’s a good idea to make a content plan that showcases your company story. Create a posting schedule to ensure your content team are aware of what’s needed and when, and in what order. By tracking and assessing KPIs, marketers can determine how well their social media strategy is performing. Choose the metrics you are going to measure your progress and success by, such as Facebook post impressions and reach, or LinkedIn followers and conversion rates (social media monitoring tools can help with this). Read more on social media for engineers. In a digital world, a business’s website has become an integral part of a company’s brand recognition process. Search engines are continuously adjusting their algorithms and marketers need to be aware of how to adapt their website to optimise their SEO. Let’s face it, unless you’re a leading engineering brand, it’s doubtful people will search for your specific brand keywords. Instead, place yourself in the mind of the customer and think about terms related to your product or service that people will search for. Incorporating keywords into your content and throughout your website is a must. You need to discover the words or phrases your audience are typing into Google when searching for information before they reach your website. ▪︎ Analytics – Access to web analytics are at your fingertips, so use them! Learn which keywords are already driving traffic to your website and capitalise on them by creating content around these terms. ▪︎ Research tools – Keyword tools such as Google’s Keyword Planner can help marketers to find the terms that draw relatively high searches without being overly competitive. Read our blog on the top 5 free keyword research tools to find out which one is best for you. ▪︎ Competition – Carry out some traditional competitor analysis to find the keywords your competition is currently ranking for and how you could potentially use incorporate these words into your strategy. When writing content, don’t get obsessed with overloading your text with keywords as this dilutes the effectiveness of your keyword strategy. Ensuring your keywords are naturally blended throughout the content is considered best practice. Remember to include them in the page title, headers, subheadings and in your introduction and conclusion. As well as making pages and blogs more attractive, image optimisation greatly increases traffic to your website. ▪︎ Image file name – Rather than default image names, it’s advised to include keywords so that search engines will be able to determine the relevancy of the images. Because search engines are text based, Google will only register what your image is, if you have it labelled with the relevant keyword. ▪︎ ALT tag – The ALT tag indicates to Google that an image is present while also showing search engines what the image consists of. ALT tags will display when an image can’t be shown or is taking too long to load. While search engines don’t use meta descriptions in their algorithm, they act as a summary of the page content for searchers. It’s important to make your meta tags informative to give users an idea of what to expect if they click through to your page. Meta tags are also a great opportunity to include your chosen keywords. Read more on SEO for engineers. Inbound marketing is about attracting the right type of customer to your business. It involves pulling people towards you, instead of pushing yourself towards them. The technique focusses heavily on content marketing to increase brand awareness and create high quality sales leads for your business. By aligning content to your prospects interests, you will naturally attract inbound traffic that you can then convert, close and retain. By embracing content marketing for your engineering firm, you can position yourself as a thought leader in your industry. The content you publish should be informative, interesting and educational to help your target audience address problem areas they may face every day. Attractive blogs will not only establish your brand as a professional, trustworthy and proactive business, but also attract new prospects and drive them to your website with the potential to generate leads. eBooks, white papers and product guides are perceived as high in value content and showcase your knowledge of the industry in a tangible way. Often in the form of a PDF, website visitors are required to fill out a form in order to receive access to the downloadable content. Like every industry, engineering consists of a wide range of products and services. By writing helpful and detailed product reviews you can help drive traffic to your website. If your reviews showcase your authority in the industry, you will quickly establish a dedicated following within your target audience. Case Studies are vital when it comes to proving your worth and experience in the industry. Usually laid out in a ‘problem and solution’ style format, prospects can easily apply their situation to work you’ve done in the past, making you a reliable choice to do work with. Learn more about how inbound marketing benefits engineers. If you want to grow your business, increasing brand awareness is vital to your progression in a thoroughly modern, technology orientated world. No matter how good your product or service is, unless people know that your company exists, all your efforts will be in vain. Effective branding will not only improve recognition, create trust with your buyers, and help generate new customers; brand awareness will mean you are ‘known’ by a specific audience for being ‘good’ at something. Arguably, this proactive approach to requires time and effort, but the dividends are well worth the time taken. In a competitive engineering marketplace, companies need to be prioritising brand awareness activities to expand their industry influence and customer base.